Ouch! My back! Comes a cry from one of your esteemed work colleagues. But sympathy cannot be sought here. Time and time again you have tried to explain that how sitting day after day, month after month, and year after year is never going to do your back or posture any favors. As you stand proudly at the helm of the office in your recently acquired Standing Desk, you can’t help but feel a smug arrogance as you once again launch into a tirade from your vantage point about the advantages of Standing Desks, and urge your audience who are now captive due to their hunched gaits and the desire to amend their back ailments. Right, OK! Is everyone sitting comfortably? Ahh, yes, apparently not, but I shall continue anyway. This desk, this Standing Desk is essentially a piece of office gym apparatus. Not only that, it also serves as a tool in mind exercise. While you people are slumped precariously at your workstations, inviting all manner of ailments to the party, you can see that I am in a state of alertness and ready to tackle anything that the hierarchy dares throw at me. Standing here at my helm, I am impervious to the imperfections of the office environment. My blood is circulating freely, my brain is sharp and focused, my productivity levels are currently on a par with at least three of you put together, not mentioning any name – Barnes, Johnson, Corrigan – and most importantly, and I’m talking to you here, Matherson, my posture and core strength are unrivaled throughout the office. I can see many of you here slouching into your desks and wondering how on Earth you ended up with the gait of a wizened old crone from the medieval age, and the answer is literally under your backsides. The chair you are sitting on is the culprit. Expel the lecherous swine from beneath you and make the simple conversion to the Standing Desk. Before I made the transition I was much in the same boat as all of you. I’d feel lethargic, unmotivated and generally uncomfortable at my workstation. I’d leave the office after a hard day on my backside and commute home in almost a trance-like state, barely being able to summon the correct change for the bus. I’d feel grey, stale and morose, and the pains which were accumulating in my back were doing very little to help matters. When I was introduced to this Standing Desk, my savior if you will, I was initially very skeptical, but after a few weeks of adjusting to it I realized that my whole outlook had change. My general mood and attitude towards work began to lighten, I felt able to tackle any task that came my way, my productivity levels immediately began to climb – Isn’t that right, Mr. Osborne? – , and most importantly of all my back aches and pains began to subside. As you can see now, the way I’m standing at my desk promotes a good posture. My back is straight at all times and I feel more confident while dealing with issues and merely just walking around the office. When I mentioned that the Standing Desk is also essentially a piece of office gym equipment, I mean that it actually, unbeknownst the user of the Standing Desk, begins to strengthen your back and actually build muscle mass from the outset of using it. Your core strength will improve and what’s more, while using the Standing Desk you will effortlessly burn a third more of your caloric intake than you would if you were sitting at a conventional desk. You will not feel the familiar stiffness and soreness in your back at the end of each working day which often demands treatment with a painkiller or two, and possible frequent visit to the osteopath later down the line. It is time, people, to nip these ailments in the bud – stand tall at your new Standing Desk and work with pride, productivity and an improved posture. No, the transition from sitting to standing by no means needs to be made in one dramatic lurch. Start practicing first. Maybe use your new Standing Desk for just a couple of hours per day to get used to it before gradually increasing your daily increments and eventually becoming a fully fledged member of the standing set. Yes, I’m well aware they you visit the gym 4 times a week and you are in relatively good shape, but think about the effect that sitting in the office for 8 or more hours per day is having on your posture. Your poor back is suffering, David, and somewhere along the line lies the very real threat of chronic back pains, leaving your fitness club lying in despondent wait for your arrival. 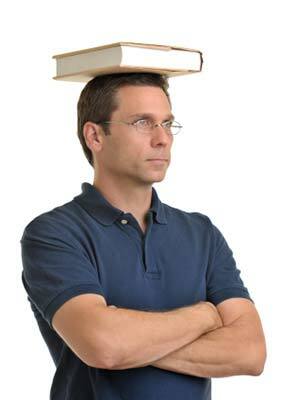 Standing Desks are an absolute must while considering maintaining a sound physique and sharp mental state of being.